BEIRUT (AP) — Israel should think carefully before attacking Syria again once it obtains the sophisticated S-300 defense system from Russia, a Damascus official said. The warning followed pledges from Moscow to deliver the missile system after last week’s downing of a Russian plane by Syrian forces responding to an Israeli airstrike. Syria’s Deputy Foreign Minister Faisal Mekdad said late Tuesday that the S-300 should have been given to Syria long ago. Israel, “which is accustomed to launching many aggressions under different pretexts, will have to make accurate calculations if it thinks of attacking Syria again,” he said. The Russian Il-20 military reconnaissance aircraft was downed by Syrian air defenses that mistook it for an Israeli aircraft, killing all 15 people on board. Russia laid the blame on Israel, saying Israeli fighter jets were hiding behind the Russian plane, an account denied by the Israeli military. On Monday, Russian Defense Minister Sergei Shoigu announced the S-300s will be delivered to Damascus within two weeks. 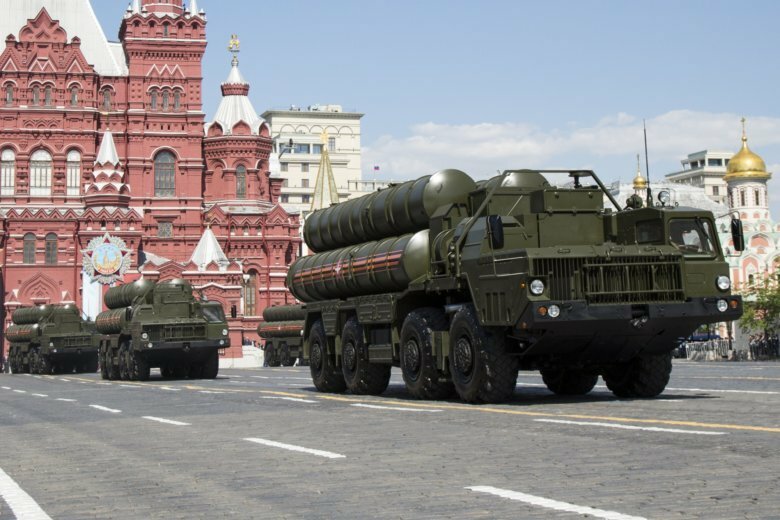 Earlier in the war, Russia suspended a supply of S-300s, which Israel feared Syria could use against it. U.S. national security adviser John Bolton said the delivery would be a “significant escalation” in already high tensions in the region and Secretary of State Mike Pompeo said he would raise the matter this week with his Russian counterpart Sergey Lavrov at the U.N. General Assembly. Mekdad said the missiles are for defensive purposes, adding that “Syria will defend itself, as it always did” — a reference to missiles Syrian forces fired at Israeli warplanes carrying out airstrikes inside Syria over the past months. Vladimir Yevseyev, a Russian military expert, was quoted by the Interfax news agency as saying the S-300s would effectively make it impossible for the Israeli air force to operate over Syria. If deployed near Damascus, the long-range air defense systems would be capable of monitoring the entire air space over Israel, he said. Meanwhile, in northwestern Syria, preparations were underway to set up a demilitarized zone around the rebel-held province of Idlib, the last major area controlled by a mix of Turkey-backed opposition fighters and other insurgent groups, including al-Qaida-linked militants. Two jihadi groups have so far rejected the plan to set up a demilitarized zone by Oct. 15. The al-Qaida-linked Hayat Tahrir al-Sham, Arabic for Levant Liberation Committee, the largest militant group in Idlib province, has not said yet whether it approves setting up the zone. A Turkish security official said Wednesday that there were “indications” that some insurgents were leaving the demilitarized zone in and around Idlib but that it was unclear whether a “concrete” withdrawal of radical groups has started. The official spoke on condition of anonymity in line with government rules. Russia and Turkey agreed last week to set up a demilitarized zone around Idlib to separate government forces from rebels, averting a government offensive on the last major opposition stronghold in Syria. Also Wednesday, Russian Maj. Gen. Yevgeny Ilyin said more than 3,150 Syrians returned to their homes in the past week, including 494 refugees. The rest were internally displaced people. Moscow has called for international assistance for Syrian refugee returns, rejecting Western arguments that the Mideast country remains unsafe. Ilyin, who spoke during a conference call on coordination of efforts to encourage the return of refugees, said the total of more than 1.2 million internally displaced people and more than 244,000 refugees have regained their homes. In seven years of civil war, some 5.5 million Syrians have fled their homeland and millions more were internally displaced. Associated Press writers Albert Aji in Damascus, Syria; Suzan Fraser in Ankara, Turkey, and Vladimir Isachenkov in Moscow contributed to this report.